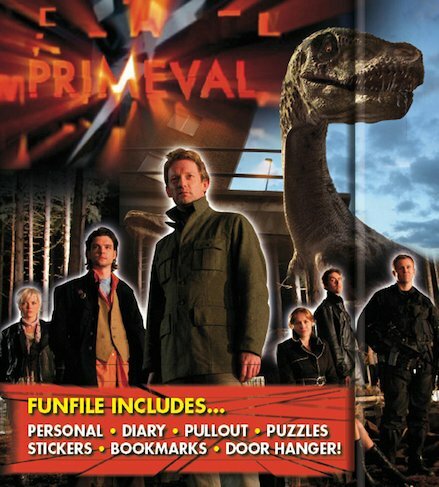 A Primeval funfile stuffed with gadgets and goodies from the TV show. Get the lowdown on Primeval’s crack science team, from Professor Nick Cutter to James Lester and the mysteriously absent Helen Cutter. Come face to face with strange and extinct creatures from the series! Decorate your room with the poster, try the puzzles and quizzes, and use the diary to record your own anomalies! If you love the show, you’ve just got to have it! I liked the programme so this was really good to have but i gave the door hanger to my brother.